"We Love Sharing Our Commission"
All the major home builders have a policy of factoring a 3% real estate commission into the price of every new home. Builders will not give any concession, rebate, or allowance of any portion of that 3% to a buyer without an agent. The result is the buyer ends up paying exactly the same for the home whether he has an agent or not, and the salespeople get the same commission, whether or not you have a real estate agent. So, it makes no difference to them. If you buy a new home, you might as well have us as your agent and let us give you 1.5% of our 3% commission as a rebate! When you arrive at a new home community, all you have to do is let the salesperson know that Enrique Moreno with Executive Realty Services is your representing agent and has pre-registered you. We will provide you with paperwork to present to the builder's representative and will take the proper steps to make sure we register you prior to your visit the new home development. Are Cash Rebates Legal in Nevada? Yes. Commission Cash rebates are legal in Nevada when consent is provided by the client's (principals) we serve and rebates are disclosed properly. Commission rebates are an important competitive tool, that are beneficial to consumers. Open and free business competition, in general, is the basis for the American economy and is protected by both state and federal anti-trust and consumer protection laws. Consumers would be well advised to visit the DOJ's website to understand the many Federal law enforcement efforts taken to prevent or prosecute restraint of trade or commission price fixing within the real estate services industry. If you feel your right to competitive real estate services were impeded by anti-competitive industry practices, resulting in a loss or reduction in an agreed commission rebate, please leave a complaint with the DOJ. Consumers do have legal recourse against harmful anti-competitive business conspiracies within the real estate services sector that result in higher than negotiated consumer services costs. In the United States, including Texas, any business conspiracy that results in a restraint of free trade, consumer price fixing, and or works to impose a boycott on competitive businesses have been deemed illegal and subject to anti-trust laws. Consumer resource information concerning competition in real estate services on the U.S. Department of Justice (DOJ) website. What is the Commission Rebate amount we offer you? Our new home rebate is 1 ½% or 50% of my commission received from the Seller just about anywhere in Nevada and would be together with whatever exclusive promotional pricing, discounts, closing credits, free alternatives, improvements or any other incentives that the building contractor might be providing in the course of your purchase. The most interesting part is the fact that our services to assist you to buy a new home won’t cost you a penny! Home Rebates are legal and permitted in Nevada by the Nevada Real Estate Commission including the Department of Justice – and can be utilized to take care of closing costs, pay for improvements, lot premiums, as well as to buy down the price of the home. We can as well cut you a check after closing with lender consent which you are allowed to use for whatever you desire! Once you meet with the building contractor you just need to make them aware that you’re using the services of Enrique Moreno with Executive Realty Services, then provide them with my details which I provide to you. Please inform the home builder that you are receiving a new home rebate equal to 1 ½ % or 50% of my commission. We should begin working on implementing the rebate towards closing costs (the loan provider will certainly inform us just how much can be used towards closing costs, every single loan differs). Whatever sum is remaining we can utilize to buy down the cost of improvements, appliance packages, lot premiums or perhaps the price of the home. It’s VITAL that we operate from the onset, together, to make certain that every single penny is utilized appropriately to your purchase. I am pleased to help out with these negotiations. 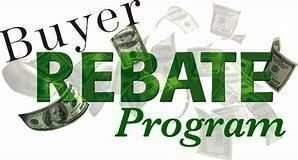 Steps To Get Your Rebate? Please click on the Learn More button under Start Saving for the instructions. If I self represent, do I still get the same price and incentives from the builder? By representing yourself, you would NOT get a discount on the price of the home and the home builder may not include any extra incentives. If you represent yourself the builders will pocket the realtor commission built into their marketing fund. By using our commission rebate program, as your realtor you can share in the commission received from the new home builder. The realtor representing you does not cost you anything and you will not lose any incentives offered by the new home builder. The realtor’s commission is built into the marketing program and does not affect the current price or offered incentives of the new home. Part of my job is to make sure that you are receiving all the builder incentives at the time of purchase. Usually, a builder will announce in advance any price changes or changes in incentive programs in advance. How Do I Receive My Commission Rebate? Enrique Moreno with Executive Realty Services shares his commission with his clients in the form of a home rebate at close of escrow with Nevada Escrow and Title Company as a credit on the closing statement towards their buyer closing costs including points, options, HOA assessment credit etc. A credit at closing is just like cash since it directly reduces the amount of cash needed at close of escrow. How Can I Search For New Home Developments? Do I Need To Let My Lender And The Builder Know About The Rebate I Will Be Receiving? ABSOLUTELY. If you are financing your home purchase in Nevada you need to notify your mortgage lender about your home rebate. You should begin working with your mortgage lender as well as the new home builder to insure you will receive the entire home rebate towards closing costs, upgrades, appliance packages, lot premiums or a reduction in interest rates or price of the home. Why do I have to sign a Buyer Broker's Agreement? This document solidifies our buyer representation and is an essential part of getting paid a commission which results in a rebate to you. Can I use this rebate program on a "Resale Home"? The 1.5% rebate program is strictly for a new construction home. We can offer this rebate because we can leverage our time with a new home construction transaction. Can I get a check or cash for the rebate at close of escrow? Unfortunately no. This practice is considered unethical in our industry. We can only rebate the funds through escrow with a credit on the settlement statement. You can use the credit towards closing costs, points, options, prepaid HOA dues or anything else that your lender will allow if you are financing the property. This essentially means you bring less money to closing. IMPORTANT: Our rebate does not affect any concessions or incentives the builder may be offering. Do you offer representation during the transaction? Absolutely. I offer full representation during from start to finish at no you at no cost. I will be the agent of record and will be on standby to answer any questions and address any concerns you may have during the transaction. You can reach out to me any time at 702-278-8871 for a phone consultation. What experience do you have with New Home Sales? I have been licensed in Las Vegas since December of 2000. I have represented hundreds of clients in New Home purchases throughout my career. My company has a good relationship with all the builders in the Las Vegas Area. I understand the current market conditions, I know what questions to ask, I understand the buying process in it entirety and most important I have my client's best interest at heart. I have negotiated on many occasions extra benefits to my buyers. You can read some recommendations and testimonials from previous clientele. Some other buyer rebate companies have restrictions on purchase price, total commission paid by the home builder, amount of homes they will represent the buyer in and other “small print” details that can hurt the buyer. I do not have any of those restrictions. I will rebate 1.5% of the purchase price regardless PERIOD! No complicated charts or conditions, you simply get 1.5% back at closing! What I ask of you? Think of this like a partnership where we are working together for the same end result... Getting you into you new home and putting some money back in your pocket. It is important that you follow the instructions on the "Start Saving" page. This will ensure that you the buyer will receive your rebate successfully we do not take up each other’s time unnecessarily. I believe this is a fair request and only benefits everyone involved. I take my buyer’s very seriously and commit a tremendous amount of time and energy to each and every one. It is only fair that I ask my buyers to be cooperate as well. "Enrique was great. Made my first home purchase a great one. He was fast at replying to all my questions and advised me well to close the deal. I recommend him to anyone looking to purchase property in the Las Vegas area." "Enrique is an amazing realtor. He will not pressure into buying anything you aren't totally happy with. He is a prompt, genuine, professional, and likeable person and I can't thank him enough for his help"
" I worked with Enrique Moreno to find my new home. Enrique is friendly and professional, and had excellent follow-through which is something I highly value in a real estate agent. He is very knowledgeable, dedicated to his profession and giving his clients his all. Enrique coordinated and handled all aspects of the transaction so everything went smoothly. Buying a home can be a stressful experience, and Enrique helped to shoulder some of that stress, allowing me to focus more on how exciting the whole experience is. I highly recommend Enrique and Executive Realty Services if you're considering buying or selling a property. " " I have used Executive Realty services for the past 10 years. I moved to Las Vegas about 11 years ago from the Midwest. Executive Realty Services was the first honest company I found here in Vegas. I have had the Broker (Enrique) and his staff help me in the purchase of my home here in Vegas. They have also helped me in the purchase of income properties and even a short sale. One of the reasons I really enjoy using Executive Realty Services is how they explain the different process of buying or selling real estate. They are very quick to respond to your calls and keep you up-dated as you move through the process of either buying or selling property. When ever I meet with them they always make me feel like family. I will continue to use Enrique and his staff for years to come and love referring them to my own friends and family. " Specializing in residential real estate, Enrique Moreno is a credible, experienced and thriving Real Estate Broker in Las Vegas, Nevada. He is committed to helping his clients realize their home-ownership dreams and wealth-building goals by educating them with his local expertise and providing accurate property choices, enabling their ability to make an informed, timely and profitable real estate decision with complete confidence. With a combination of 38 years of living in Las Vegas Valley and over 18 years of experience in Real Estate, Enrique has been able to develop an unparalleled expertise in our local housing market. He knows the communities, he understands the needs of the clients and he knows exactly what a successful Real Estate transaction entails. Enrique 's number one objective is to provide the highest level of service for the most reasonable fee. Enrique comes highly recommended by many of his past clients because his knowledge and level of service are second to none. 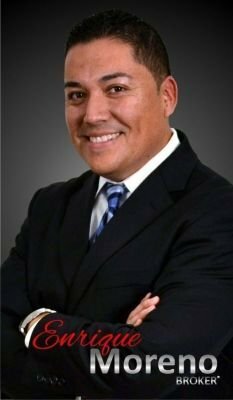 Enrique is the founder of Executive Realty Services and Agent connect Realty. 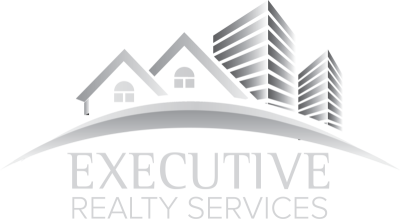 Executive Realty Services was created for exceptional people with the character, leadership and sales skills it takes to reach the highest levels of success. It was created for real estate professionals who are seeking to reach the pinnacle of their profession at the Executive level. We hope you will consider becoming a valuable member of this exclusive team and we invite you to learn more about our company and the exciting opportunities that may await you with Executive Realty Services.